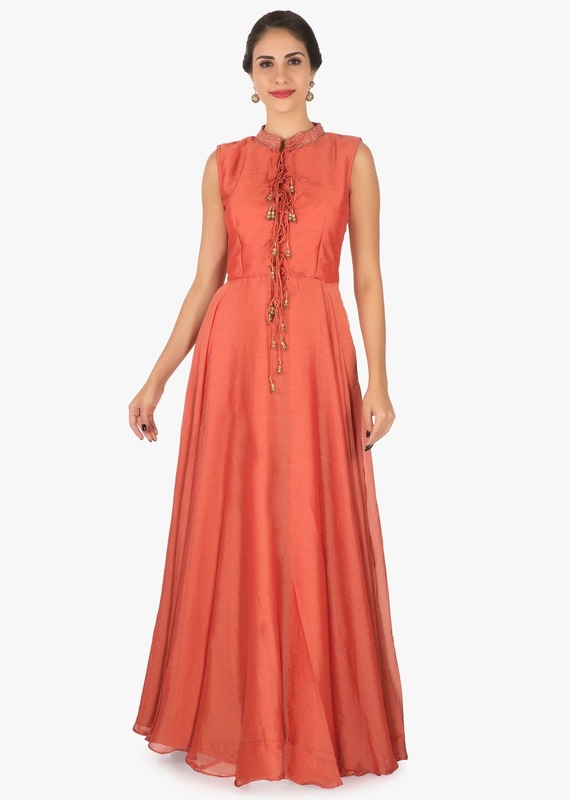 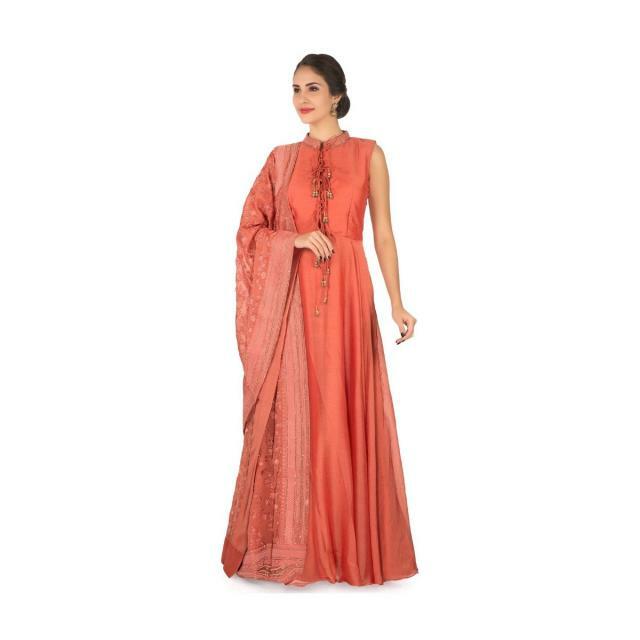 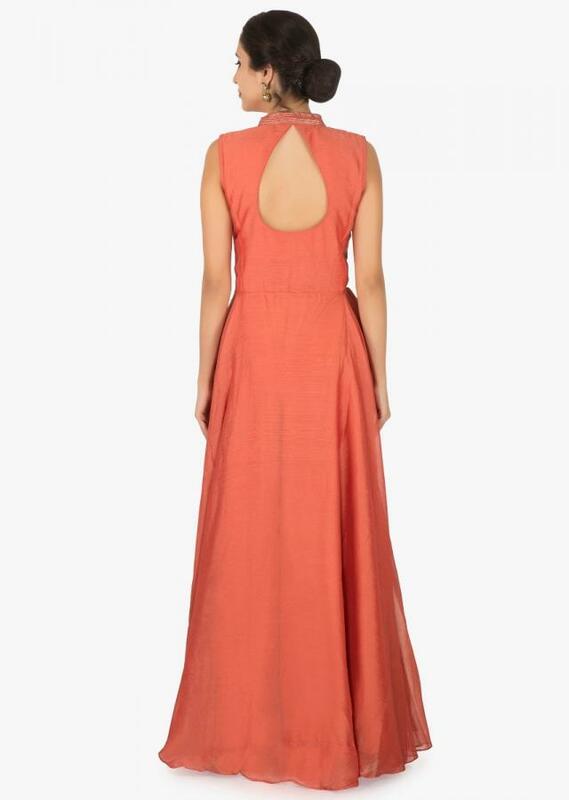 The orange anarkali is featured in crepe fabric. 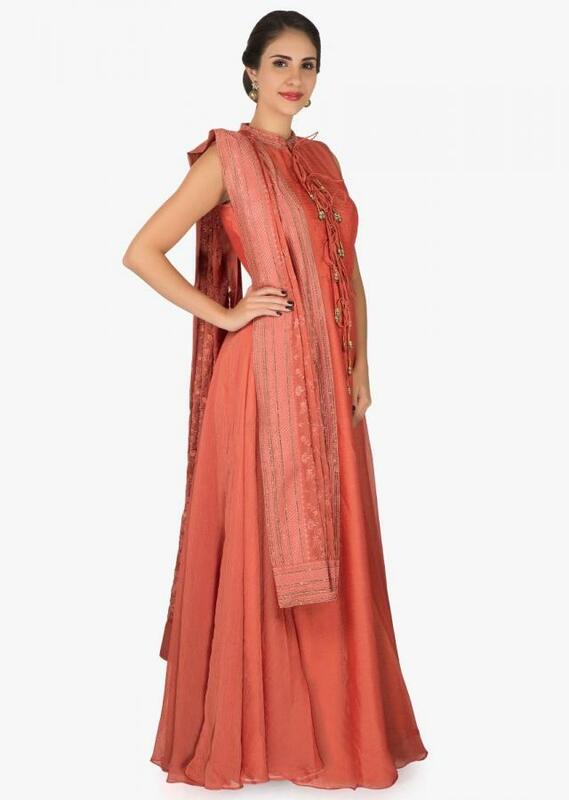 The suit is embellished with kundan beautification at the neck line with fancy tassels at the placket. 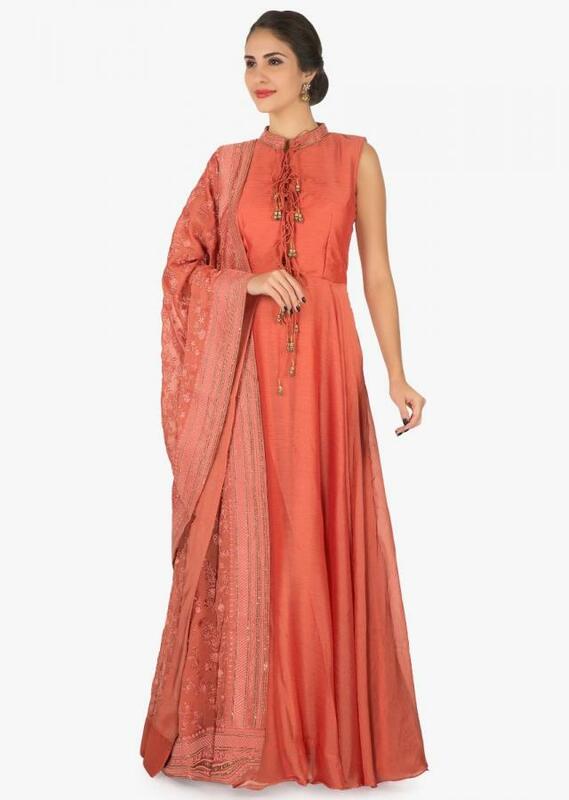 Matched with an embellished dupatta and a bottom in lycra.